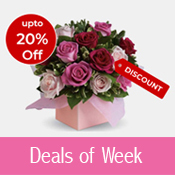 It is always a nice thought to buy your loved one Flowers and it an effective way to show the depth of your feelings. But is it okay to send flowers to men? It may be surprising but, men like to receive flowers for the same reason that they send them.They say that Receiving fresh flowers not only brightens any day or week, but it also sends message of respect, friendship, devotion, appreciation, love..the list is endless! But, what kind of flowers are best suited for men? That's where we can help, because we've been asking our customers and industry friends what flowers for guys they recommend, and we're going to share our findings with you. 3.Plants are a great choice since they add life to any home or office and are a lasting reminder of how you feel. ANNIVERSARIES = One can make a strong impression on anniversary by sending their guy a surprise flower arrangement or plant! Just as women love receiving flowers for no reason at all, a surprise gift of flowers for him will work wonders, too. From romantic gestures to modern office arrangements,Pickupflowers,fromtheflowerexpertcan help you choose flowers for menand give you floral tips even for the toughest guy out there. Exceptional brands for a unique Mom! , a box of Ghirardelli squares or a Godiva chocolate use to make your mouth water. Our parents also used to indulge in them but secretly. Did you notice they never took the box for themselves; always gave it to us. Don't you think it's time to pay them back for the favors done to us? Won't your mom feel good if these types of premium brands made it to her doorsteps? The smile they will bring on her face will be priceless. Sure she will call you up and scold you, emphasizing on how she is gaining weight! However, take it from us she will enjoy every crumb of the cookie and every drop of the wine. The joy will be even more when it is a well known branded product. It always feels special. Some people do believe that branded products necessarily means more expensive. We don't think so; at least not always. available in various categories. 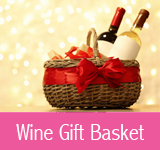 Ranging from California wine, Jacob's Creek, Mouton Cadet, Lindeman's, Cono Sur to Nestle, Hershey's, Neuhaus chocolates and many more. Good qualitybranded products is exactly what we have to offer. 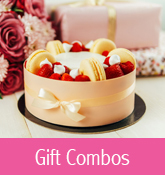 So if you like to send one to your mother this Mother's Day, go ahead and order a special brand for your special mother on Giftsnideas.com. Last modified on May 31, 2012 | TFE v1.2 | © 2005-2017 Gifting Inc.